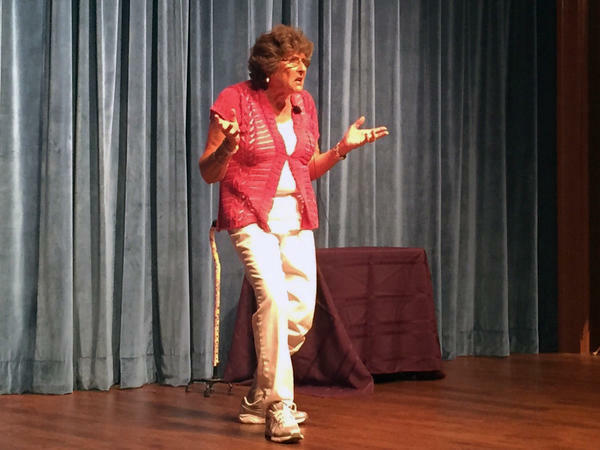 Retiree Jean El Guindi took to the Cobb County Senior Center stage to perform her comedy act. What’s the one thing you always wanted to do but, for whatever reason, just never got around to doing? Was it learn to play an instrument? Climb Stone Mountain? Learn a foreign language? However, as we get older, we recognize that at some point, it is now or never. Well, for retiree Jean El Guindi, that thing was stand-up comedy. Through the Cobb County Senior Center, she signed up for an acting class, and the rest is now a fun part of her storied history, as we hear in this Atlanta Sounds piece when she braved the stage for the very first time. Have an idea for Atlanta Sounds? Let us know here.